This curriculum vitae layout is designed with a 3-column structure layout. 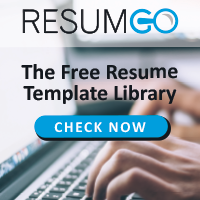 Big colored icons embedded in a square and a clean structure make an easy to read resume. This resume will give a fresh style to your information. It is designed for 1 page or more if needed: the top banner and footer with your name, and personal information will be repeated. Download ‘Wynwood – Multicolor Resume Template’ for free!